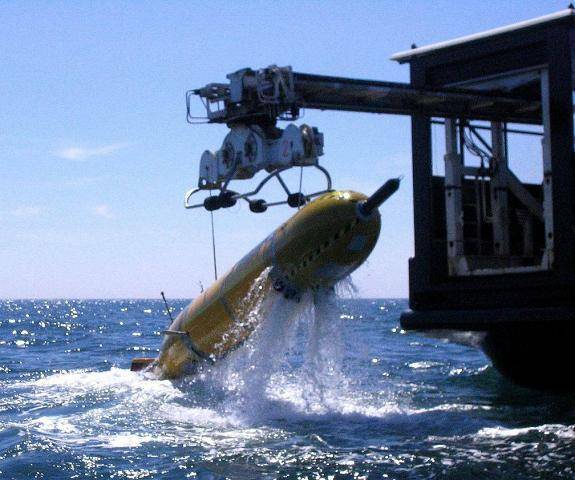 With a range up to 1000 km, a maximum operating depth of 6000 m, and a payload capacity of 0.5 m3, Autosub6000 is one of the world’s most capable ultra-deep water AUVs. 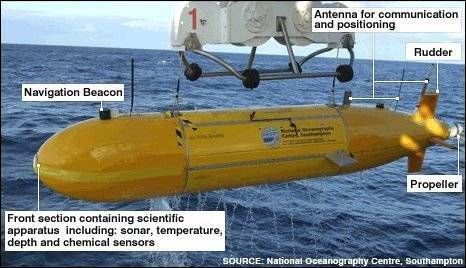 The Autosub6000 was developed by the Underwater Systems Laboratory at the National Oceanography Center in Southampton, with funding from the UK Natural Environment Research Council. 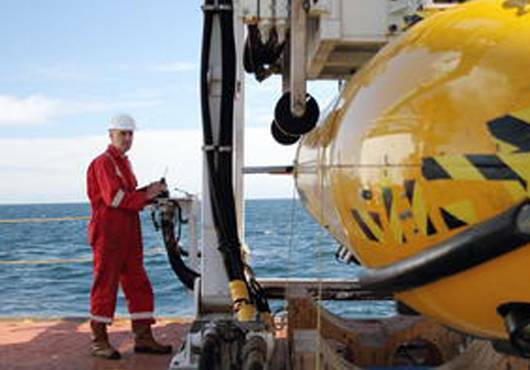 Autosub6000 is the latest 6000 m rated version of the Autosub AUV series, which has been used extensively for ocean science during the last 10 years, including work under ice operations in the Arctic and Antarctic. The design of the nose and tail sections, including the navigation and control systems, are substantially inherited from the tried and tested Autosub3. The main difference is the depth rating (6000m rather than 1600m), and the energy system (Lithium Polymer re-chargeable batteries rather than primary manganese alkaline cells). 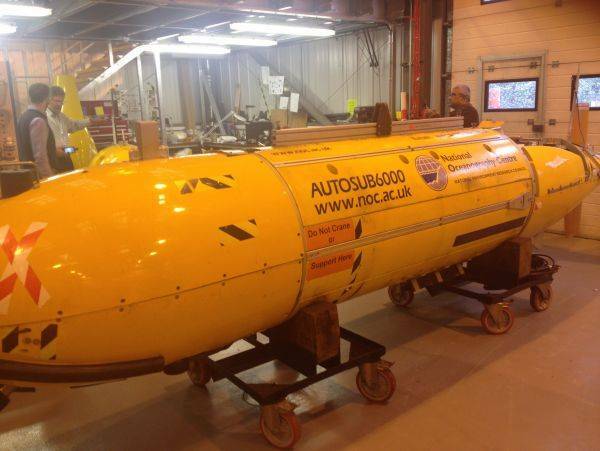 An example of its achievements is the project in 2012 when the Autosub6000 photographed a vast tract of ultra-deepwater seabed some 560km southwest of Land's End at a depth of 4,800 meters. The images were stitched together providing a seamless view of what is happening on the seabed over an area the size of a city. 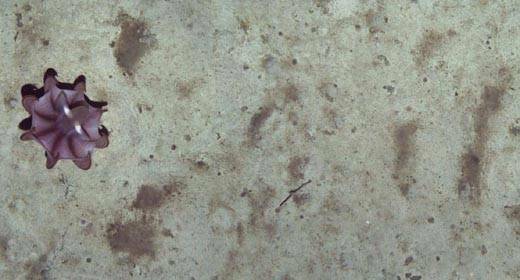 The mosaic created by these photos gave scientists the opportunity to study the changing environment on the Porcupine Abyssal Plain. The Autosub6000 photographed an area approximately 20 km by 7 km. About half a million photos were taken over a two-week period. These were joined together in a continuous image measuring more than 300km in length. Scientists interpolated activity in regions not directly pictured in the mosaic. Their intention was to end up with a kind of "street view" map of the ocean floor. NOC believes the mosaic is still the biggest, most detailed map of a portion of the abyssal plain ever produced. 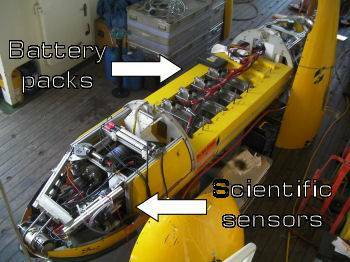 Other research involving the Autosub6000 includes overflow and exchanges across sills, abyssal circulation + mixing, Southern Ocean mixing processes, ocean ridge, marine census, canyons and sea-mounts, ocean margins benthic communities, gas hydrate surveys.